If you have been reading my blog for any amount of time, it is no secret that Trader Joe's is my favorite grocery joint in town. 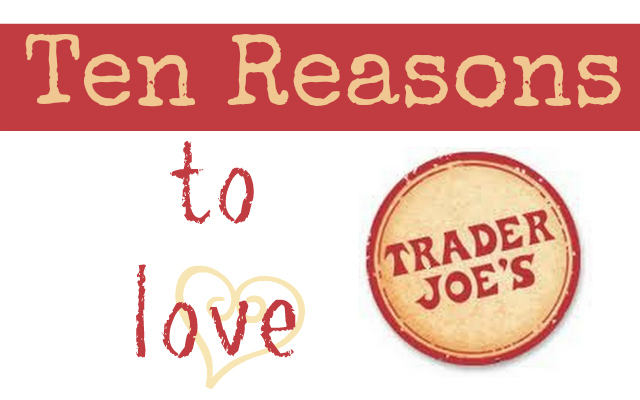 Maybe you too are in love with this small grocery chain, maybe you have never been, but friends, there is so much to love about Trader Joe's! I took my class on a field trip there last school year when we were learning about communities, and I found out even more awesome facts about TJ's that I didn't know before. What makes Trader Joe's the place to shop? Yes, the stores are small. But they are no Mom and Pop operation. They feel like it -- people take the time to say hello and chit chat -- but they operate as a full functioning grocery store. The selection is smaller, but the basics are all there. I have been saying for years that I save money by shopping at TJ's, yet so many friends of mine didn't believe me. So I sought after proof. Last Christmas I went shopping there with my list for the week. I then headed to Safeway and price checked all of the same items. Guess what? 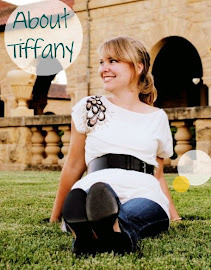 I saved over $20 in one week by shopping at TJ's! That's around $80 a month. Cha-ching! Raise your hand if you like to pig out on samples while at Costco? You can do the same at Trader Joe's. I have gotten so many great snack and dinner ideas right here, at this sample station. Plus, there is always free coffee and tea for you to grab while you continue shopping. If you want good deli meats or a variety of cheese, you have come to the right place. Enjoy your edamame hummus and pita cracker like my little friend above and then head over and pick up some salami, gruyere, and chicken sausage. Have no fear! You can get veggie-turkey, vegan cheese, or chicken-less nuggets. No biggie. Olive oil from Italy, rice from Thailand, Spanish olives from Spain. These items come from where they are supposed to come from, but you pay for them like they were made right around the corner. And hey -- if you want to shop American, they usually have a substitution for you, too. Maybe you don't know if you really like olives from Spain. That's alright. Buy them, try them, and if you don't like 'em, return them for a full refund. And you don't even need a receipt. Or you can just ask them to open that bag of seaweed or whatever it is you are taking a risk on... if you like it they will give you a new package to purchase. Did you know that everything with the Trader Joe's brand on the box is guaranteed preservative free, as well as artificial flavoring and artificial color free? That means you are buying REAL food -- even the frozen stuff. Imagine that! If I buy red velvet cake here in California and you buy it there in ______, it might taste a little different. Why? Because although the recipe is the same the bakers are different. Each store has a local bakery that bakes their recipes right there -- so your bread/cakes/scones/ are FRESH. And then when they getting close to the date of expiration (but are still good) they send them off to the local food bank to pass out. It's a win-win. Every sign in the store, from the posters to the price tags on the shelves, are painted right there in your local TJ's. The store is designed by local artists to reflect the community it serves and then artwork is created for each store specifically. Not to mention there are no intercom calls, just a bell that is dinged and someone who comes out to help. And if you are like me and you go weekly, they might even learn your name. Plus, not only did they host our awesome field trip, they gave every child a snack pack with fruit, a 100% juice box, popcorn, and a real-fruit-no-sugar lollipop. Way to help our kids see that eating right can taste GOOD! A store that sells REAL FOOD at a GREAT PRICE with a PERSONAL TOUCH? Yeah, that's the kind of store I want to shop in, too! haha That's so funny. We like TJ, but Fresh and Easy is closer, and I think (?) they follow the same principles?? But I think it's awesome your class went there on a field trip. Never heard of Fresh and Easy, but another one that I like is Sprouts. The bulk is veggies and fruit and the other stuff is just around the perimeter -- and good prices too! I love going to TJ`s! Mainly because it`s a 5 minute walk from my campus apartment, but srsly, the basics are really cheap! I don't have a Trader Joe's near me, but my husband just moved to Athens, GA, and there's one there! I hit it up every time I go up to visit and bring home a little cooler full of goodies. BUT! This past week, I found out that one is opening right around the corner from me (in Tallahassee) next year! OH HAPPY DAY! woo-hoo! One of my biggest fears is I will move to a place lacking a Trader Joe's. Seriously. Isn't that awesome? I just learned that about a year ago and that was why I decided to take my class on the field trip. I thought it was an excellent example of how a community works together! I have been to Sprouts, which I love, but there's a TJ's just about 5minutes further that my daughter has been begging me to try...guess I have to go ahead & give in to th begging now that you have given us such a rave review! Thanks!